Glenn is the current Chairman of Coopers Brewing, Australia’s largest independent brewing company and named in a UK poll in 2011 as the world’s top family business in 2011. He was till June 2014 the Marketing Director of Coopers. He is also the current Chairman of Australian Made and Australian Grown. Glenn started off his working career by gaining qualifications in electronic engineering, and later in computing and marketing. 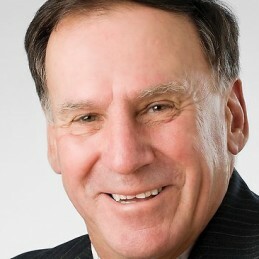 In 1983 Glenn returned to South Australia to set up a private business in computer sales and services, which grew to a turnover in excess of $3.5m. In July 1990, Glenn joined the family brewery and today is Executive Chairman at Coopers Brewery. After relocating to a new, $40 million state-of-the-art brewery in 2001, Coopers is now the number three brewery in Australia capacity-wise, and is the only remaining family-owned large brewery in Australia. Glenn is past chairman of the Adelaide Fringe Committee (1994 to 1999) and the Adelaide Convention and Tourism Authority (1998 to 2006). In 2002 Glenn received a Centenary Medal, and in 2005 was awarded a Member of the General Division of the Order of Australia. Glenn has an Associate Diploma in Business from Stanford University Faculty of Business. His insights into retailing in Australia are quite simply amazing.